Initially, the new system of Advanced Booking of Special Entry Darshan Tickets was launched by TTD on 27/8/2014 through Online and e-Darshan Counters only. The allotted quota is 7500 tickets and 5000 tickets for advanced booking through Online and e-Darshan Counters respectively. Advanced Booking System through Post office:Pilgrims shall book the "Special Entry Darshan Tickets" two(2) weeks in advance (say Book Ticket on 12/12/2014 for the Darshan date on 26/12/2014) through Post Offices. Pilgrims can choose any one of Two Slots(10am & 3pm) for Darshan Reporting Time in Tirumala at the time of booking at Post offices. The allotted and available quota is 1000 tickets. TTD extended facility in ALL 95 Head Offices located in Andrapradesh and Telangana States. 6 Jangoan Head Post Office,Warangal Main Road, Near Railway Station, Jangoan. The Pilgrim should invariably present himself/themselves at the reporting time indicated in the ticket. The Pilgrim will not be permitted before reporting time and after darshan time. Pilgrims shall wear Traditional Dress only. Female Traditional Dress: Saree/Half Saree/Chudidar with Dupatta. 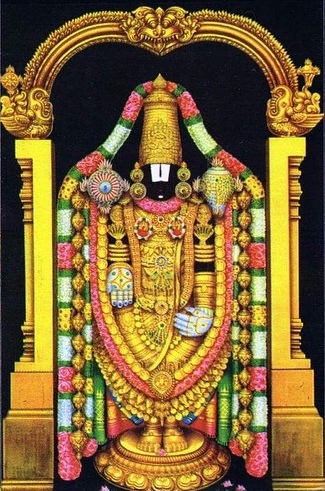 SrivariCollections wishes a "Very Happy Darshan of the Lord & Blessings from the Lord"